Polhøgda was the home of famous Norwegian polar explorer, scientist, diplomat, humanist and Nobel Peace Prize laureate Fridtjof Nansen (1861-1930). 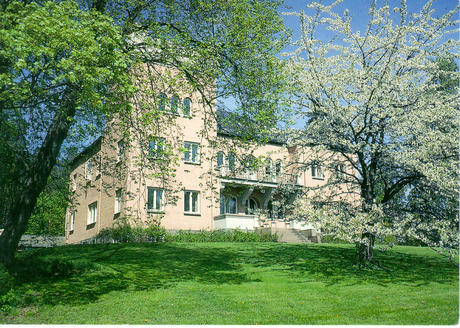 Since 1958, it houses the Fridtjof Nansen Institute. Below is a small collection of sights and objects at Polhøgda. 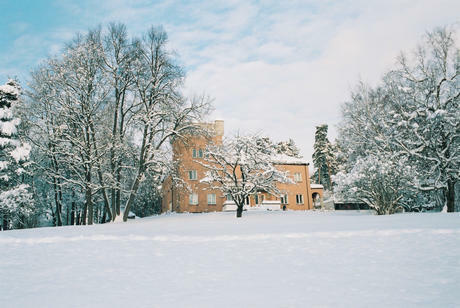 Construction at Polhøgda started in April 1900, and when the house was finished in August 1901, Nansen moved in with his pregnant wife and 3 children. 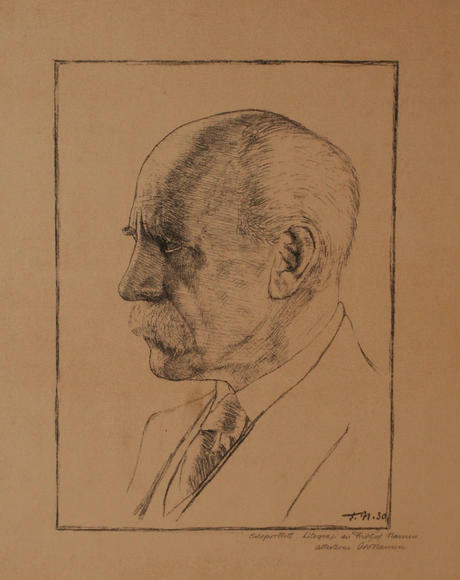 Nansen had drawn the construction plans himself, with assistance from architect Hjalmar Welhaven. Nansen wanted his new house erected in a kind of "Norwegian castle style, in stone". Changes along the way made the plans less castle-like and more inspired by Lawnhurst, the home of his friend Henry Simon near Manchester in England. 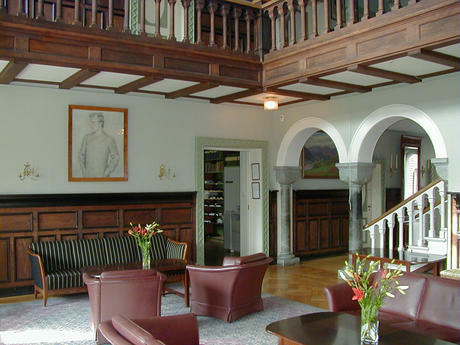 By giving Polhøgda a touch of English 'mansion', Nansen got a representative and stately home with room for entertaining. 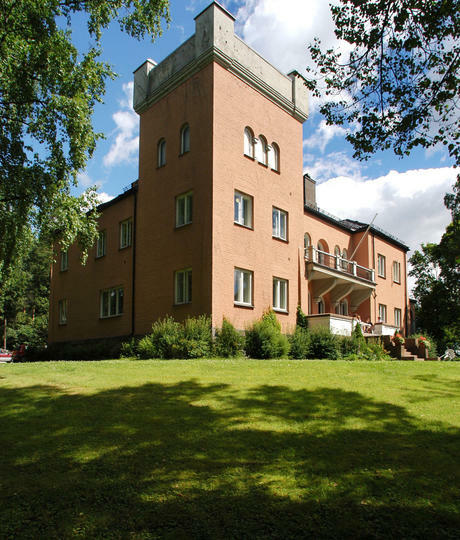 Externally the mansion is reminiscent of the early Italian renaissance, whereas the shape of the windows and the tower draw our thoughts to medieval Romantic churches and castles. Fridtjof Nansen died at home, on 13 May 1930, while enjoying the spring sun on the balcony seen in background of this photo. 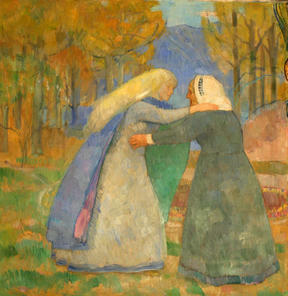 Before his death, Nansen had clearly expressed that he did not wish a church burial. He wanted to be buried in the garden, under "my good birch tree", as he is reported to have put it. In the early 1930s, private burials were not allowed in Norway, and it took the Nansen family and the Norwegian Academy of Sciences six years to obtain permission to establish a private tomb for the late national hero. 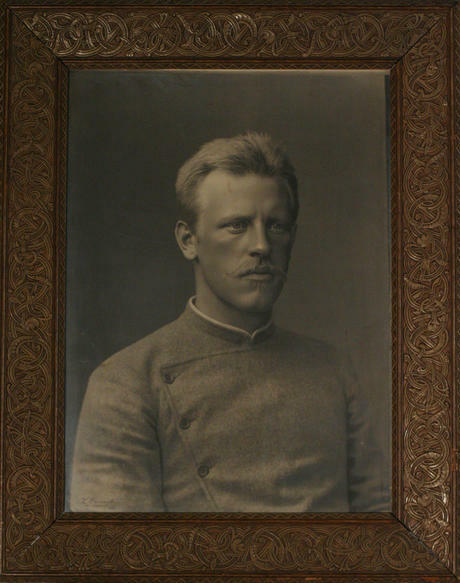 Fridtjof Nansen's son, the architect Odd Nansen, had prepared a plan for the tomb which was approved by the authorities. 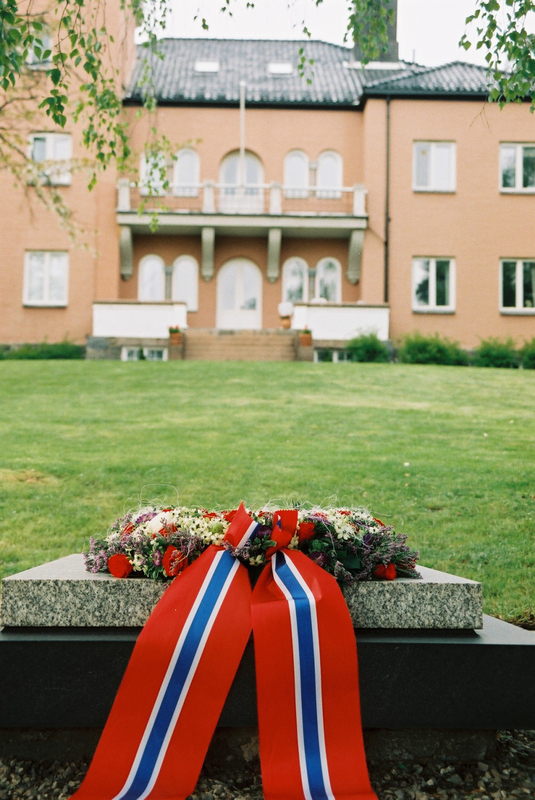 In the spring of 1937 the urn containing Nansen's ashes was finally moved to the new tomb, on the slope to the south of the house, and interred there with a simple ceremony. The English mansion style is evident in the large central hall, in two storeys with a gallery and an open fireplace. 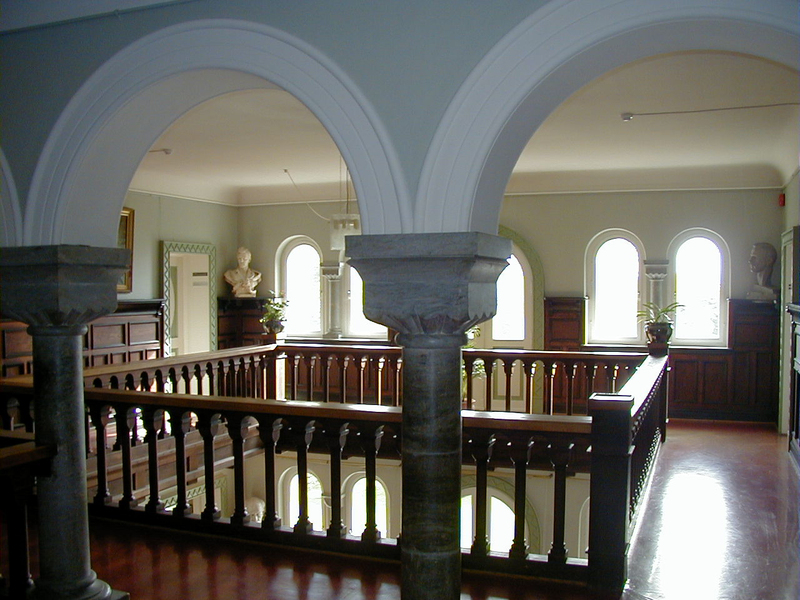 Here, there were frequent parties, large and small, for relatives and close friends. Eva Nansen's in-house recitals were famous. Almost all the furnishings, paintings etc. 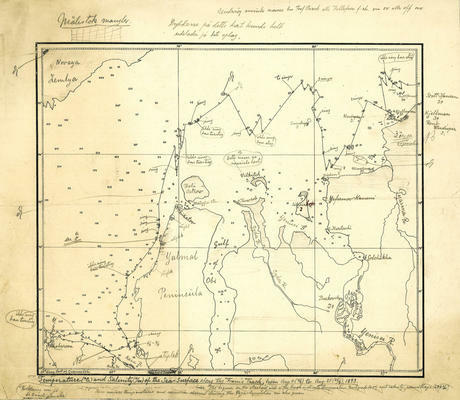 at Polhøgda today have been acquired after the Second World War. In Nansen's time, there were bedrooms all along the gallery. Today, they provide office space for researchers and staff of the Fridtjof Nansen Institute. 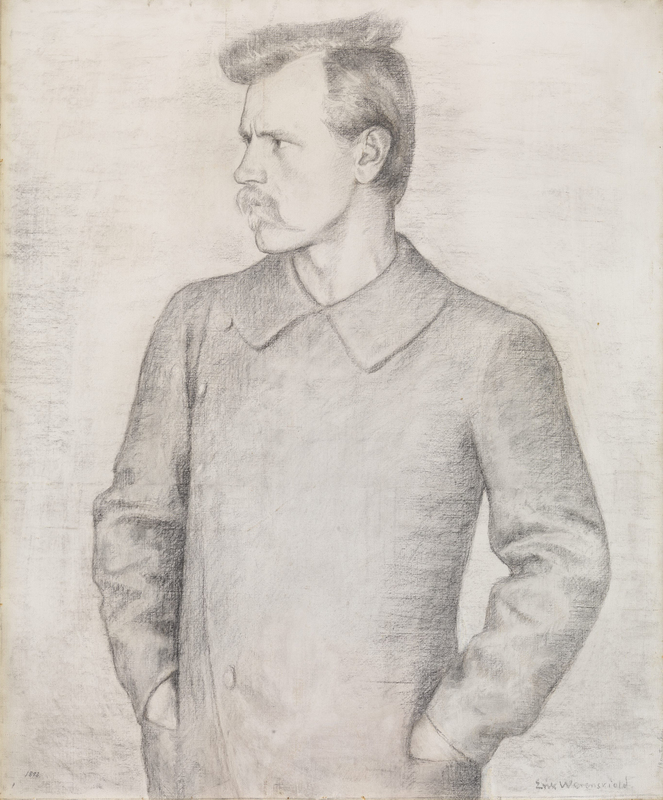 With Erik Werenskiold's portrait of Fridtjof Nansen. The study room is situated in the tower, with a beautiful view of Fornebu and the Oslo Fjord. When Nansen was at work there, there were standing orders not to disturb him. 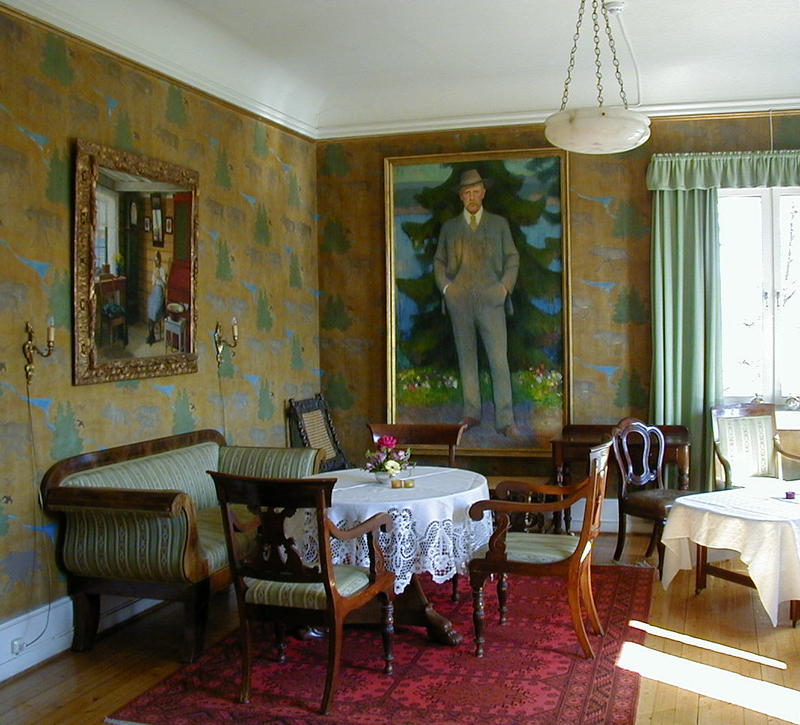 The room has been preserved basically as it was when he passed away in 1930. 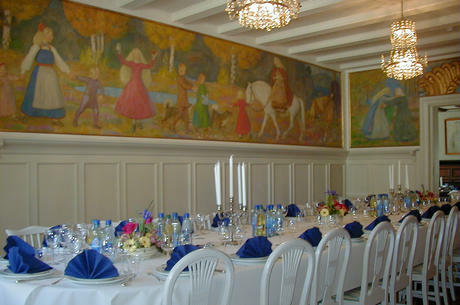 The dining room is light and festive, in part thanks to Erik Werenskiold's wall paintings (1904-1907), illustrating the Norwegian folk song "Liti Kjersti". This folk song tells of little Kjersti who is seduced by the Elf King, gives birth to his children, is spellbound and then drinks the "drink of forgetfulness", thus losing all memory of her previous life. By L. Szacinski, Christiania's leading photographer at the time and photographer to the Royal Court. It was only natural that he should also be photographer to the Nansen family. The large portrait hanging at Polhøgda is dated 1896, but was actually taken in 1889, upon Nansen's return from Greenland. 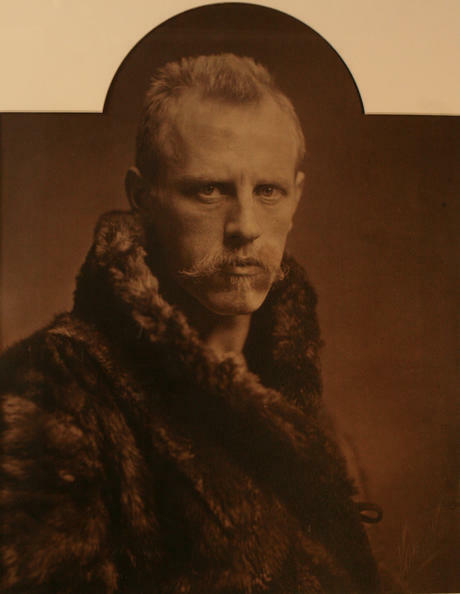 Nansen ready for his great North Pole expedition. Drawing by Nansen's life-long friend Erik Werenskiold. Nansen's boots and knife, used during the 1893–96 Fram expedition in the Arctic Sea. 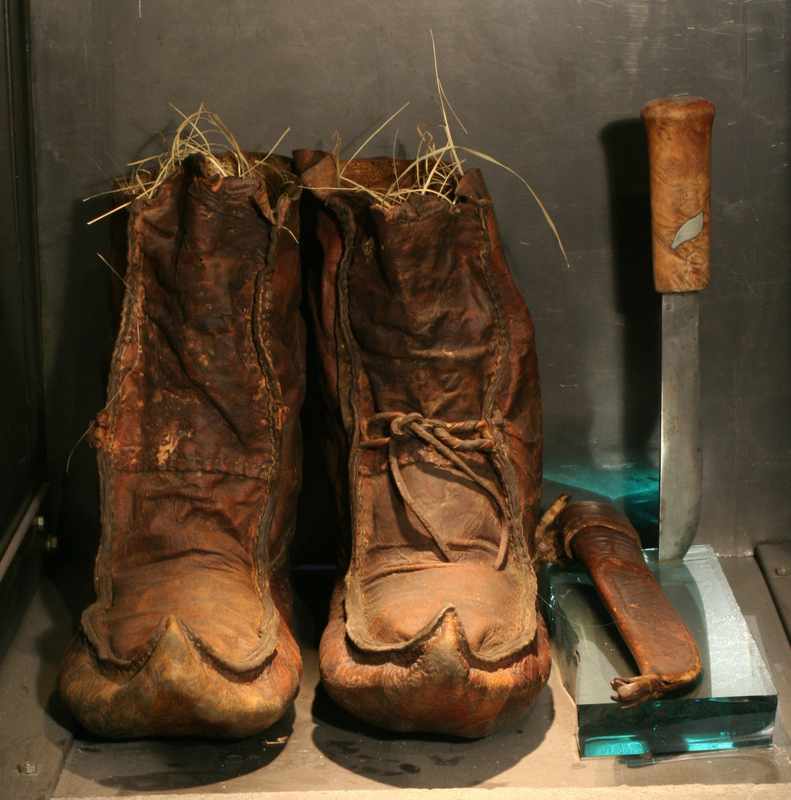 The boots are on loan from the Fram Museum, the knife has been donated by Norwegian actor Knut Wigert, who portrayed Nansen in a 1968 movie. After his miraculous rescue in 1896, Nansen travelled down the Norwegian coast, receiving a hero's welcome at every port. Here he is seen on board Sir George Baden-Powell's yacht Otaria, heading south towards Tromsø. Nansen's wife Eva has come north to join him. A memorial plaque to the participants of the Norwegian North Pole Expedition 1893–1896. 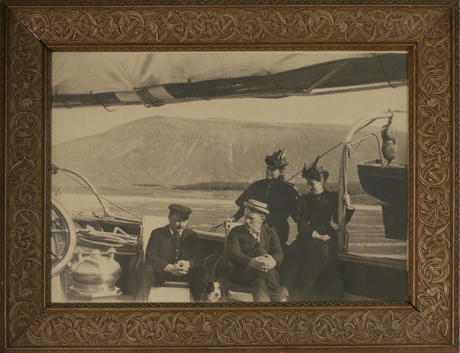 By London photographer Henry van der Weyde, taken in 1897, a few months after the return of the Fram expedition. 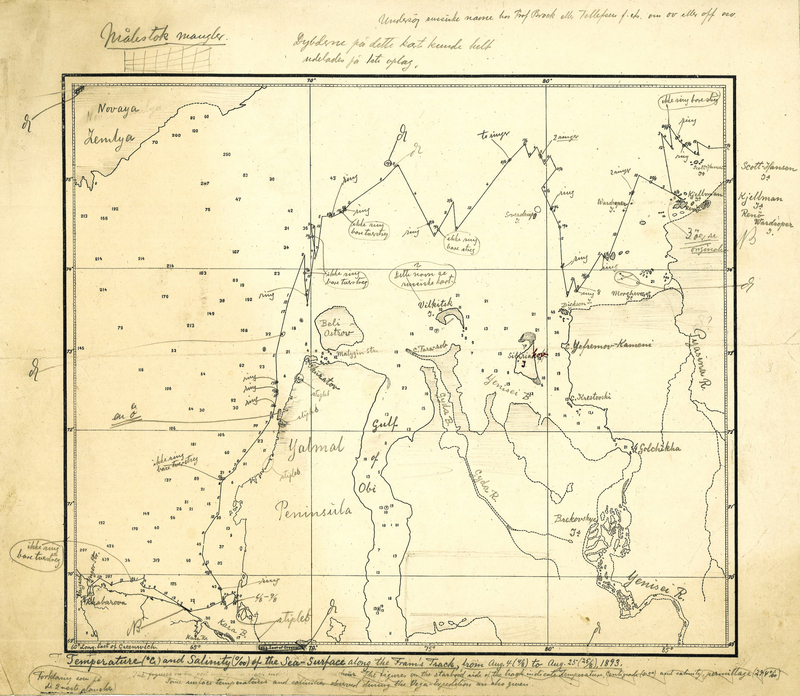 Throughout the Fram expedition, Nansen kept the crew busy carrying out scientific measurements, including ocean depth soundings. 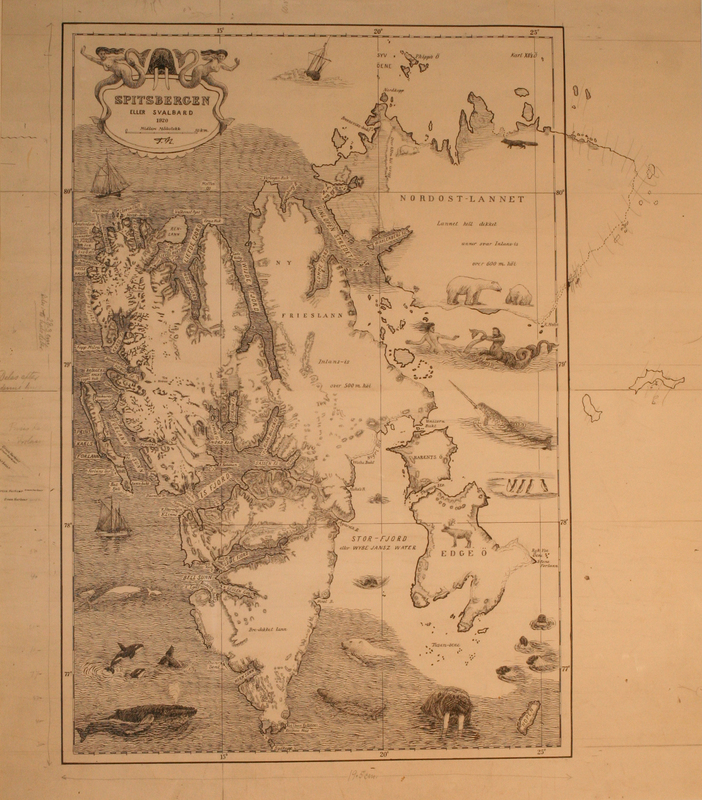 This bathymetrical map of the Arctic Ocean was one of many scientific results published after their return. Nansen spent years going through the scientific results of the Fram expedition, before publishing them in the 6-volume The Norwegian North Polar Expedition 1893-1896: Scientific results edited by Fridtjof Nansen, issued 1900-1906. 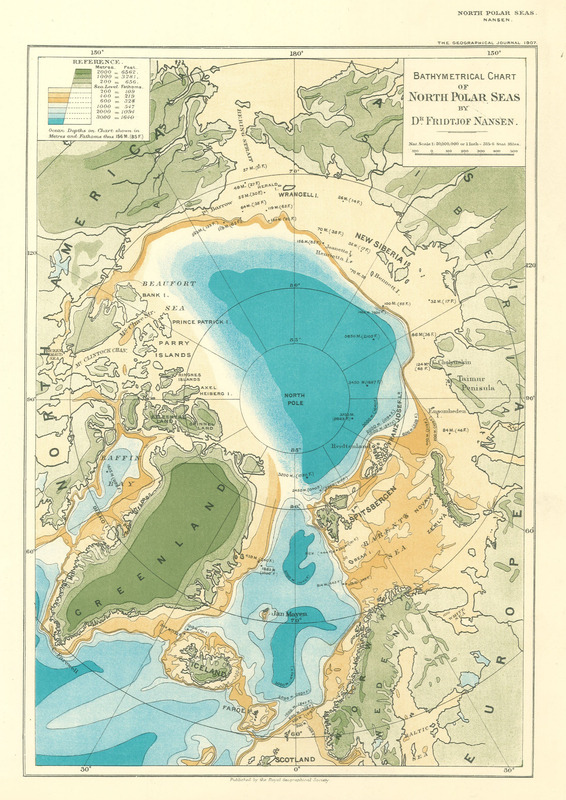 This map showing Fram's progress through the Kara Sea is one of several preliminary versions, with numerous handwritten corrections and comments by Nansen. Fridtjof Nansen married Eva Sars in 1889, and they had five children together. She was a gifted romance singer as well as a pioneer of female skiing. Her early death in 1907 was a hard blow to Nansen. 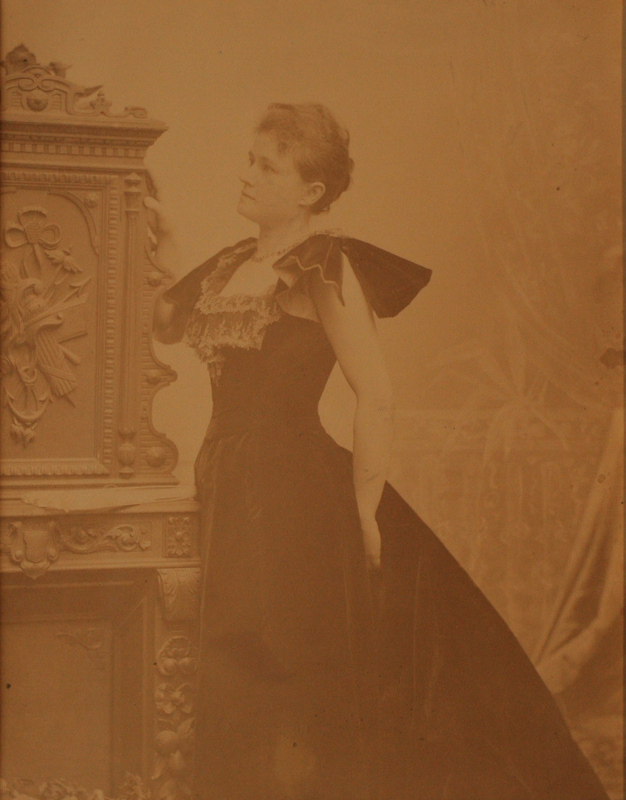 This photograph was taken in Stockholm in 1895, during Eva's last concert tour. 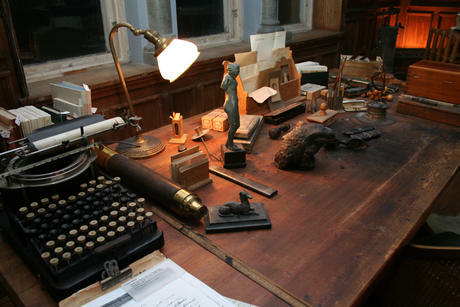 Fridtjof Nansen kept it in his study room, where it can still be seen today. 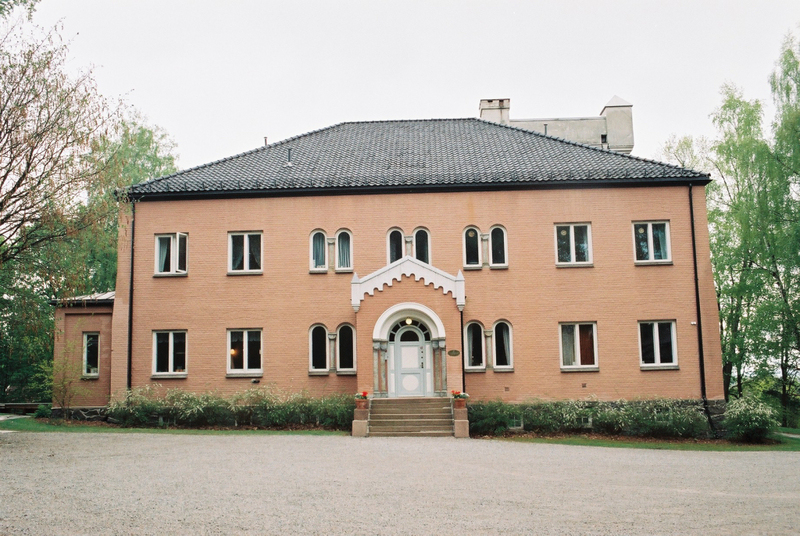 Sigrun Munthe became Fridtjof Nansens second wife in 1919, but spent many unhappy and lonely days at Polhøgda while her husband travelled widely on humanitarian and diplomatic missions. 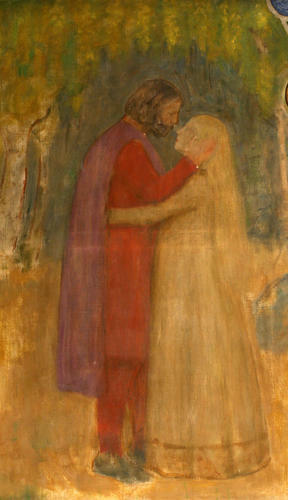 It is believed that Nansen and Sigrun had been romantically involved even before the death of Eva Nansen. 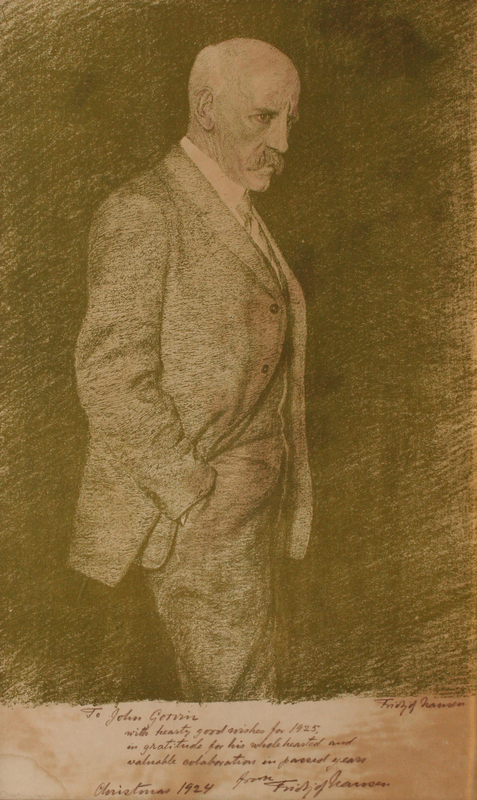 This lithograph was drawn by Nansen himself, probably around 1905. 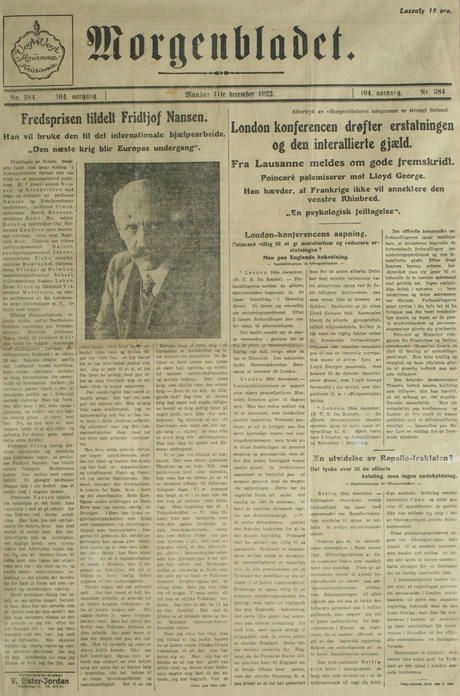 After Norway became independent of Sweden in 1905, Nansen became Norway's first envoy to the United Kingdom, living in London from 1906 to 1908. His ambassador's uniform is still preserved at Polhøgda. 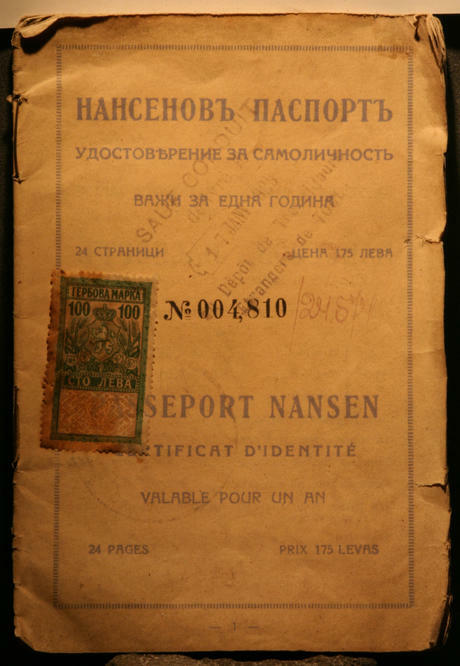 In 1921, Nansen devised the Nansen Passport, an identy card for stateless refugees. 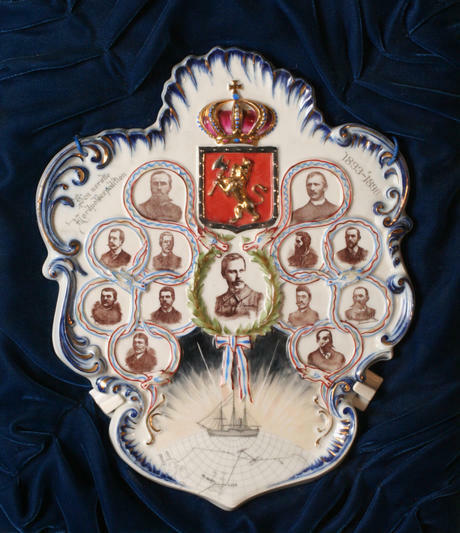 The document was recognized by many European states, and helped hundreds of thousands of stateless people to immigrate to a country willing to receive them. This specimen was issued by Bulgarian authorities in 1928 to Russian refugee Pavel Kiprianovitch Kastorny, and enabled him to travel to France to start a new life there. 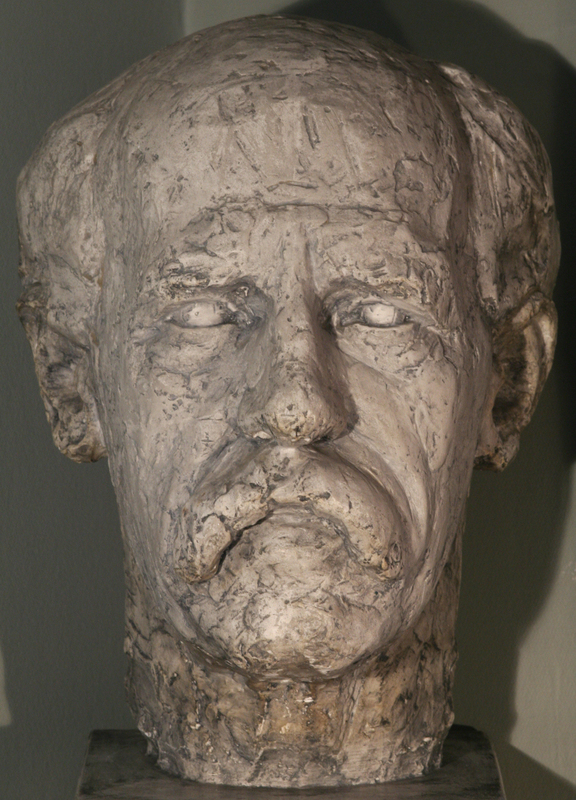 Also in his later years, Nansen never lost his interest in the North and in science. He drew this artistic map of Spitsbergen (Svalbard) for his much delayed book A Journey to Spitsbergen in 1920. With hand-written pencil notes. 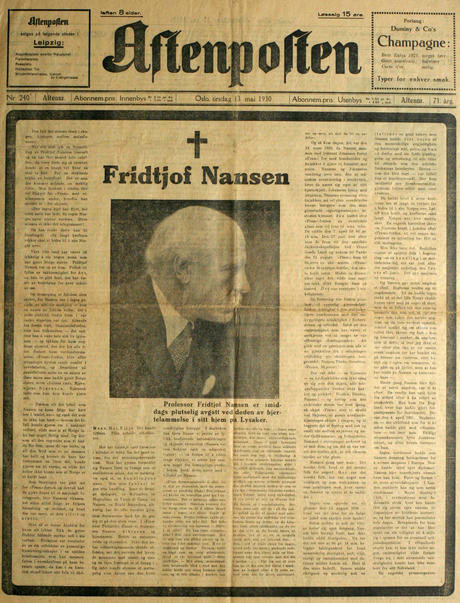 "Peace Prize awarded to Fridtjof Nansen. He will use it for international relief efforts. 'The next war will be the doom of Europe'." 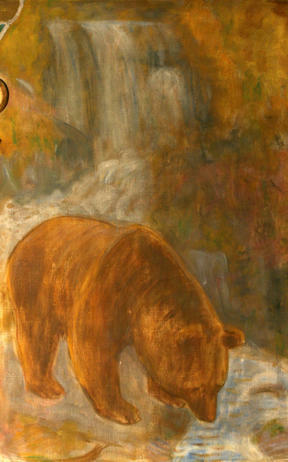 Painted by Nansen's friend and neighbour, the painter Erik Werenskiold, in 1938, eight years after Nansen's death. 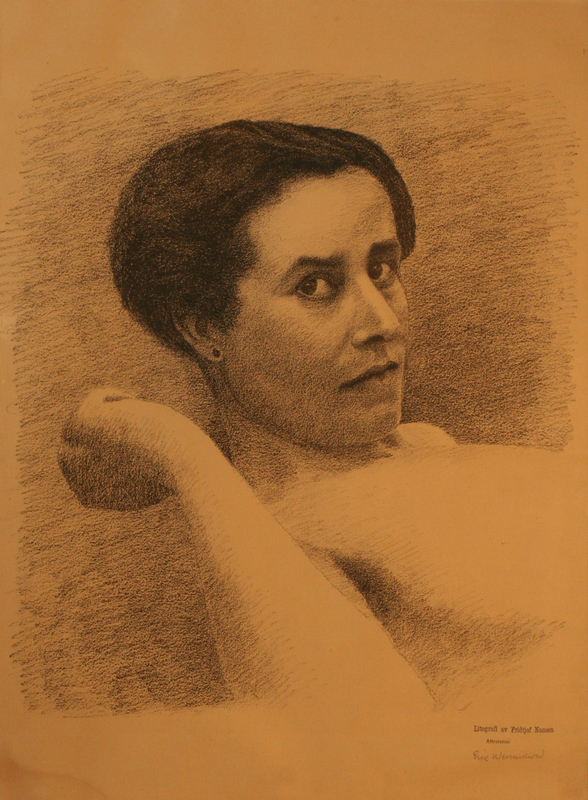 By Erik Werenskiold, around 1924. 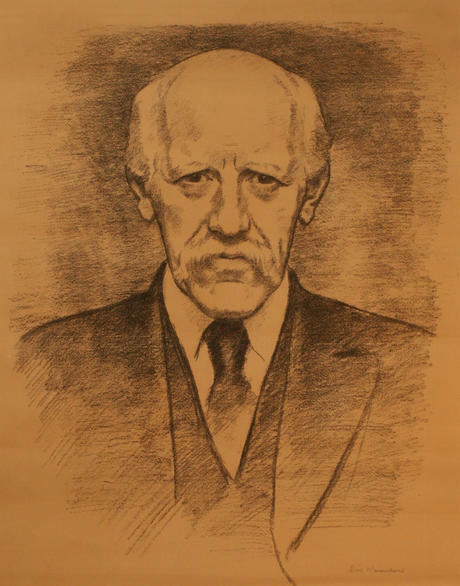 This drawing was discovered in the attic in the 1980s, and is probably the only Nansen portrait that has been kept at Polhøgda permanently since Nansen's days. 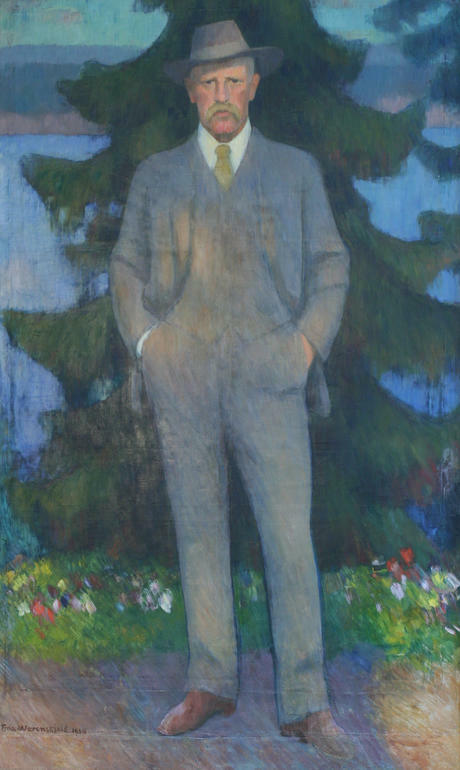 By Dagfin Werenskiold, son of Erik Werenskiold, probably in 1924. Lithograph, 1930. Authenticity attested by Fridtjof Nansen's son Odd Nansen. "Professor Fridtjof Nansen suddenly passed away today at noon due to heart failure in his home at Lysaker"
All photographs may be reproduced freely on the condition that the Fridtjof Nansen Institute and the photographer's name are credited.